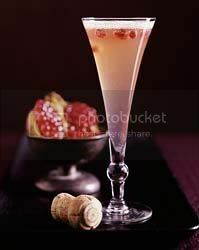 From a creamy Crème Brulee Martini to thirst-quenching Champagne Punch, the good people over at Fine Living Food & Drink show you how to serve up these palette-pleasing cocktail recipes that will satisfy everyone on your New Year's Eve 2008 guest list. Make classic non-alcoholic egg nog for larger parties, or Cranberry Martinis for a sophisticated get-together during the countdown to 2008. Any way you serve them, these "kicked up" festive drink recipes will ring in the New Year -- in total style. And for the New Year's Eve "champagne" purists among us, a question: Are you a buff on bubbly or completely clueless about champagne? Peace, health, prosperity, and GOOD EATS in 2008! Ray has signed a two-year deal for a new prime-time series called Rachael's Vacation, launching in January 2008, as well as 60 new episodes a year of her successful 30 Minute Meals on daytime (which is actually down from 80 a year). Seen everywhere these days, from Dunkin Donuts and Triscuit ads, to a daytime TV show on the ABC network morning line-up, my only question is this: Rach, where do you find the time? That is, of course, when you’re not laughing (or, should that be “giggling”?) perkily all the way to the bank. Whatever it is, it's magic, Rach. Pure magic. These meals are tasty, clever, and totally work, folks. Trust me on this. 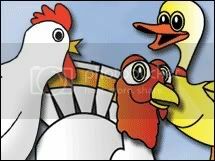 No doubt, it's probably that time again, and author and journalist, Bonnie Bucqueroux, gives up a humorous step-by-step tutorial (from poultry counter to plate) for how to stuff a chicken into a duck into a turkey, more commonly known as that versatile holiday favorite (okay... for some people it is) called "Turducken." Clearly, for dyed-in-the-wool M&M lovers like me, it doesn’t get any better than this. Just in time for the holidays, and those last minute stocking-stuffer ideas, comes these specialized little chocolate babies, upon which, you can actually display your own personal messages. Sort of like the standard "Will You Be Mine" messages you’d find on those chalky tasting little Valentine’s Day hearts (don’t you just love those...not), difference being, hey, these are M & Ms, guys. America’s favorite little microbe sized treat. 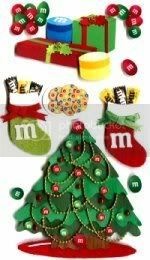 Check out all these holiday sweet treats and more at the My M&Ms website. Seasons change, and so did the minds of the powers that be at The Food Network Channel, who have decided to give longtime host Emeril Lagasse the axe. The decision to cancel production on the long-running Food Network favorite, Emeril Live, was made despite the fact that Lagasse originally inked a five-year contract which is due to run through 2008. The final taping will take place on Dec. 11, and the Food Network will continue to air daytime's Essence of Emeril as usual. 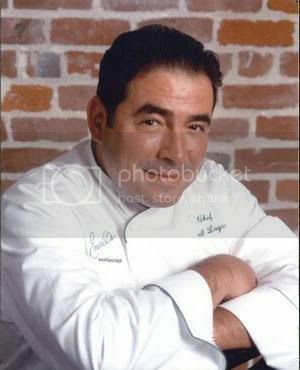 Still, one can’t possibly forget how the larger-than-life Lagasse once stood among his celebrity chef peers at Food Network with his cornerstone daily showcase, and just on the heels of his short-lived primetime NBC network sitcom, once again, simply titled Emeril . But no doubt, a lot can happen in four years. Including the onslaught of celebrity chefs, who are more down-home, perkier, bustier, edgier, street-savvy–er, you name it. Yet, I think many of us will miss Lagasse, if for nothing else, the way he could whip himself around from a hot stove at a moment's notice and bang on Doc Gibbs’ conga drum, before promising to “kick things up another notch” and going to a commercial break. Emeril, you dazzled us, you really did. I guess it’s just that everything must change -- including Emeril Live. 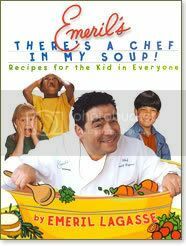 By the way, Emeril is also a prolific cookbook author, and my personal favorite and just in time for the perfect Christmas gift, is: Emeril's There's A Chef In My Soup! Recipes For The Kid In Everyone. This one's an excellent choice for the youngsters on your gift list, ages 9 through 12.